In this delightful, funny, and moving first novel, a librarian and a young boy obsessed with reading take to the road. Lucy Hull, a young children's librarian in Hannibal, Missouri, finds herself both a kidnapper and kidnapped when her favorite patron, ten- year-old Ian Drake, runs away from home. The precocious Ian is addicted to reading, but needs Lucy's help to smuggle books past his overbearing mother, who has enrolled Ian in weekly antigay classes with celebrity Pastor Bob. Lucy stumbles into a moral dilemma when she finds Ian camped out in the library after hours with a knapsack of provisions and an escape plan. Desperate to save him from Pastor Bob and the Drakes, Lucy allows herself to be hijacked by Ian. The odd pair embarks on a crazy road trip from Missouri to Vermont, with ferrets, an inconvenient boyfriend, and upsetting family history thrown in their path. But is it just Ian who is running away? Who is the man who seems to be on their tail? And should Lucy be trying to save a boy from his own parents? Exhilarating short stories of women breaking free from convention. Every now and then, right in the middle of an ordinary day, a woman rebels, kicks up her heels, and commits a small act of liberation. What would you do, if you were going to break out and away? 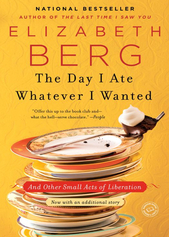 Go AWOL from Weight Watchers and spend an entire day eating every single thing you want–and then some? Start a dating service for people over fifty to reclaim the razzle-dazzle in your life–or your marriage? Seek comfort in the face of aging, look for love in the midst of loss, find friendship in the most surprising of places? Imagine that the people in these wonderful stories–who do all of these things and more–are asking you: What would you do, if nobody was looking? New York Times bestselling author Susan Elizabeth Phillips is back with a delightful novel filled with her sassy wit and dazzling charm. Deepest winter.An isolated island off the coast of Maine. A man. A woman. Puppets. (Yes, puppets . . .) And . . .A mysterious house looming over the sea . . .He's a reclusive writer whose imagination creates chilling horror novels. She's a down-on-her-luck actress reduced to staging kids' puppet shows. He knows a dozen ways to kill his characters with his bare hands. She knows a dozen ways to kill an audience with laughs. But she's not laughing now. Annie Hewitt has arrived on Peregrine Island in the middle of a snowstorm and at the end of her resources. She's broke, dispirited, but not quite ready to give up. Her red suitcases hold the puppets she uses to make her living: sensible Dilly, spunky Scamp, and Leo, the baddest of bad guys. Her puppets, the romantic novels she loves, and a little bit of courage are all she has left. Annie couldn't be more ill prepared for what she finds when she reaches Moonraker Cottage or for the man who dwells in Harp House, the mysterious mansion that hovers above the cottage. When she was a teenager, he betrayed her in a way she can never forget or forgive. Now they're trapped together on a frozen island along with a lonely widow, a mute little girl, and townspeople who don't know how to mind their own business. Is he the villain she remembers, or has he changed? Her head says no. Her heart says yes. It's going to be a long, hot winter. Rich Cohen's Surprise hit tale of a once-in-a-lifetime football team and their lone championship season. Payton, Hampton, McMahon, and Ditka—even the casual football fan recognizes these names, the pillars of the 1985 Chicago Bears: Walter “Sweetness” Payton, the fleet-footed running back; Dan Hampton, the hard-charging defensive tackle known as the “Danimal”; Jim McMahon, the punky quarterback, changing plays on the fly; and Mike Ditka, the hotheaded, mustachioed head coach. 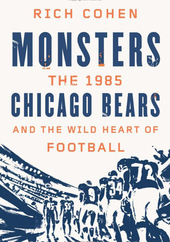 In Monsters, Cohen breathlessly recounts the thrilling narrative of their 1985 championship season. It’s a story filled with outsized characters and unbelievable-but-true anecdotes gleaned from extensive interviews with the players themselves. It’s a story about fathers and sons, love and loyalty, hope and redemption, and pain and joy. It’s a story about football, in all its beauty and all its brutality—the uniquely American sport. These are the 1985 Chicago Bears as only Rich Cohen could describe them. You’ll never see the team, or the game, or your own childhood idols the same way ever again. Historical fiction at its best — The Brothers Grimm meets The Thirteenth Tale. I am not the sort of person about whom stories are told. And so begins Elise Dalriss’s story. 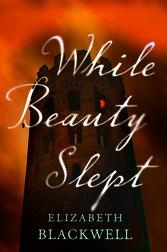 When she hears her great-granddaughter recount a minstrel’s tale about a beautiful princess asleep in a tower, it pushes open a door to the past, a door Elise has long kept locked. For Elise was the companion to the real princess who slumbered—and she is the only one left who knows what actually happened so many years ago. Her story unveils a labyrinth where secrets connect to an inconceivable evil. As only Elise understands all too well, the truth is no fairy tale.